We pride ourselves with being your first and last stop for everything for your Land Rover. Range Rover Classic. Range Rover P38. Range Rover L322. 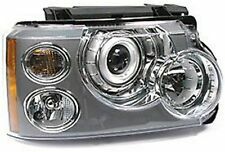 We have a New Head Lamp RH (Passenger Side) Xenon Light Non Adaptive fits Range Rover 06 - 09. LKQ SKU: LKQ383 ~196847228 HLP59543. We do our best to prevent these issues from happening and apologize for any inconvenience it may cause. Vehicle Make: Land Rover. Vehicle Model: Range Rover Sport. You're already purchasing the item. Quality Products. Material: Aluminum. All tabs and mounts intact except for upper and lower grill side tabs broken off. Vehicle Year: 2016. Vehicle Model: RANGE ROVER SPORT. Part # or Vehicle Model: Range Rover Sport. Vehicle Make: LAND ROVER. If included, ALL Bulbs are sold AS-IS without a warranty. Our warranty is for the light housing and doesn?t include the bulbs. Manufacturer Part Number: NWM-75W-7"-Land Rover Range Rover. Newest Fantastic Design LED Headlight With DRL replaces original halogen and HID headlight, Maintenance Free, Water-proof IP67. Quality Products. HID DRL AFS ADAPTIVE TYPE HEADLIGHT RIGHT PASSENGER SIDE NICE MINT CONDITION. COMPLETE UNIT OEM. ALL TABS INTACT CLEAR GLASS BULBS AND MODULE ARE INCLUDED VERY GOOD UNIT SHOWS NORMAL WARE. From 2004 hse . Complete headlight assembly. 90 day warranty. All mouting tabs good. One retainer for the fog light partly broken ,but it doesn't effect anything. 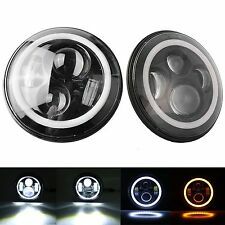 OEM 2014 2015 2016 Land Rover Range Rover Left LH Driver Xenon HID AFS Headlight. Headlight Condition. 2008 LAND ROVER RANGE ROVER SPORT Right Headlight Ballast OEM Autogator. Model: RANGE ROVER SPORT. Make: LAND ROVER. Year: 2008. Left vs. Right Part: R Headlamp. REMOVED FROM 2004 LAND ROVER RANGE ROVER. Veteran Owned. GOOD USED UNIT. Automotive Part. All parts are used, unless otherwise stated. Use parts will show signs of wear/tear/scratches/abrasions. This is a super clean headlight! Lens is in excellent condition! All tabs are intact! Housing is in flawless condition! All wiring is in perfect condition! Bulbs, modules, and covers are all included. Part number LR057273. OEM LAND ROVER RANGE ROVER SPORT DRIVER LEFT SIDE BI XENON HEADLIGHT 2014 – 2017. oem LAND ROVER genuine factory part. WILL FIT: 2005-2009 LAND RANGE ROVER LR3. UP FOR SALE IS A USED HID HEADLIGHT FROM 2007 LR3. We have a New VALEO -LED XENON Headlight Flasher Assy LH. Condition is Used with broken lens and crack on the inside part of housing. LKQ SKU: LKQ720 ~182094770 HLP59359. We do our best to prevent these issues from happening and apologize for any inconvenience it may cause. Land Rover Range Rover 2004-2005 (xenon, HID), R. Land Rover Range Rover 2003-2003 xenon, from VIN 3A140338, R.
Xenon Complete. (USED OEM). - ALL PARTS ARE USED AND WILL HAVE. We also carry a large variety of OEM parts (all used) ranging from fenders, grilles to hoods and bumpers(Honda to Bentley). LOCAL PICK-UP. HID BULBS AND BALLAST ARE INCLUDED. SEE PICTURES FOR MORE DETAILS. We are not responsible. WE WIILL BE HAPPY TO SOLVE THIS PROBLEM. Part # LR023556. Bi Xenon - H.I.D. / with ADAPTIVE SYSTEM. Range Rover Sport 10 - 11. LH - Left (driver side). NON USA EDITION. See more pictures for details.